Marco Beach Ocean Resort, rated number 16 of the top United States Resorts, is a 4-diamond all-suite resort that features Mediterranean inspired lobby with antique furniture and awe-inspiring views of the Gulf of Mexico. Marco Beach Ocean Resort, rated number 16 of the top United States Resorts, is a 4-diamond all-suite resort that features Mediterranean inspired lobby with antique furniture and awe-inspiring views of the Gulf of Mexico. The resort takes pride in making memorable vacation experience for all the guests that come through its doors. The resorts suites feature exquisite wood furniture floor to ceiling glass doors and a private balcony that opens to the fresh breeze from the ocean. The kitchens within the suites are fully equipped with appliances such as fridges, microwaves, coffee makers, and a full electric oven and stove. Another feature of the suites is the entertainment equipment such as iPod docking stations, Flat screen TVs, on-demand Nintendo games, internet access, and guest voicemail machine. To further enhance their beauty, the beddings all linen and cribs for children are available upon request. For your complete relaxation, the beds feature hypo-allergenic feather beds and light-weight down comforters. The bathrooms within the suite are made with polished marble and feature a seamless walk-in shower and bathtubs. There are also hair dryers within the bathroom. Among the services available for resort guests is 24-hour in room and concierge services, twice daily maid service, express checkout, free newspaper and dry-cleaning and laundry services. Note that the suites are either single or double bedroomed. The suites are spacious and ideal for family holiday stay as well as friends travelling in groups. Apart from the exquisite suites, the resort is home to several recreational amenities including resort shops, the resort beach and pool, a business center, golf and tennis courts, and many more. Guests are also treated with exotic massage, facial and reflexology at the resort's spa. Amazingly, this spa services are offered at discounted rates for the guests staying at the resort. If you want to lose a few pounds, then there is a fully equipped fitness center. 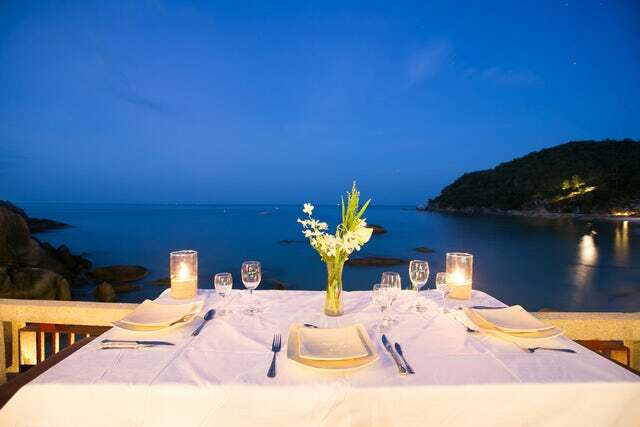 The options for fine dining at the resort are inexhaustible. The best restaurants include; Sale e Pepe that is renowned for Italian delicacies, the Saletta and its convival bar that is renowned for its happy hour, The Terrace, Tolouse Lounge, Poolside Bar and Beachfront Bar and Grill. If you are into in-room service, then the service is available 24-hours. All you need to do is place an order. If you want a hassle free wedding, leave it to the professionals at the resort. The resort is also ideal for groups and meetings. Note that all these functions will be catered for in the various packages available. Contact us today and we will get you packing.